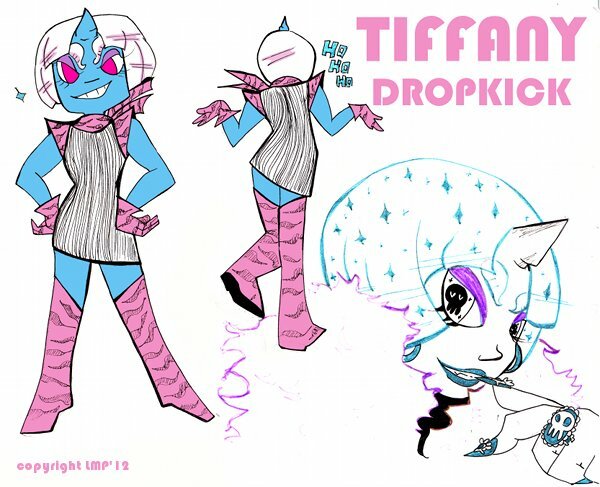 TIFFANY DROPKICK is a hustla' blue oni (ogre) who has influence over majority of nightclubs in Void. A ruthless "businesswoman", her clubs tend to showcase the unusual and cater to the unhuman. She's always looking to expand her empire, and is always on the lookout for new venues and "employees". The head of the Dropkick Family Syndicate, Tiffany has recently cut ties with the Horizon Foundation and is looking for new business opportunities outside of Void City.